„Qualitätsgastgeber Sieg“ offers full service. Accommodation for as little as one night (holiday homes/apartments), walkers’ medical supplies, shoe cleaning facilities for walking shoes, bicycle shelter for bicycles, the latest information on weather forecasts, places to visit and walking tours, pick-up and drop-off service and luggage transport service and much more. 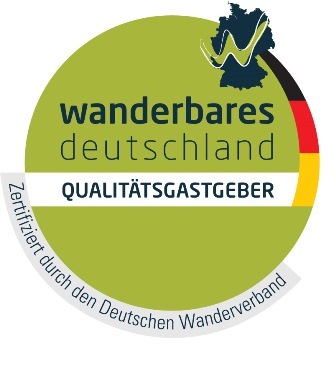 „Qualitätsgastgeber Wanderbares Deutschland“ is a quality label with star classification for hotel, restaurant and catering outlets, that fulfil more than 30 quality criteria. For example staff able to provide expert information on walking, pick-up and drop-off service to walking routes, luggage transport, drying rooms and much more. „Bett und Bike“ hostelries are bicycle-friendly facilities with a special range of services for cyclists. For example secure bicycle storage, tool sets for minor repairs, drying room, information material and much more.